Transgender actress Alexis Arquette died Sunday morning (US time) at age 47, surrounded by family, her brother, Richmond announced on Facebook. Her cause of death was not specified. Born Robert Arquette, Alexis started acting at age 12, and went on to earn roles in the Bride of Chucky, Of Mice and Men, and played a Boy George impersonator in The Wedding Singer, among others. Alexis documented her transition to a woman in the 2007 film, Alexis Arquette: She's My Brother. Alexis was one in a family of famous actors, which included Patricia Arquette and her other brother, David Arquette and Rosanna Arquette. "Our brother Robert, who became our brother Alexis, who became our sister Alexis, who became our brother Alexis, passed this morning September 11, at 12:32 am," Richmond posted on Facebook. "He was surrounded by all of his brothers and sisters, one of his nieces and several other loved ones. We were playing music for him and he passed during David Bowie's Starman. As per his wishes, we cheered at the moment that he transitioned to another dimension." The cause of death was not provided, but the statement said "she passed away surrounded by love." "We held her and sang her David Bowie's 'Starman' as she punched through the veil to the other side," the family said. "We washed her body in rose petals and surrounded her with flowers." Arquette, who was born Robert, was the sister of Patricia, David, Rosanna and Richmond. The statement, which Richmond Arquette posted on Facebook, was confirmed to NBC News by his agent. 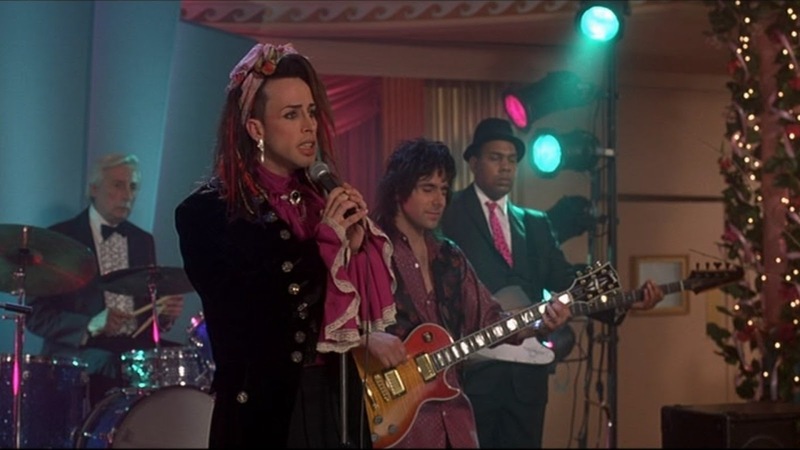 Earlier in Alexis Arquette's career she appeared in "Last Exit to Brooklyn," "Of Mice and Men," "Pulp Fiction" and "The Wedding Singer," among other films. "Her career was cut short, not by her passing, but by her decision to live her truth and her life as a transgender woman," her family said. "Despite the fact that there are few parts for trans actors, she refused to play roles that were demeaning or stereotypical. She was a vanguard in the fight for understanding and acceptance for all trans people."